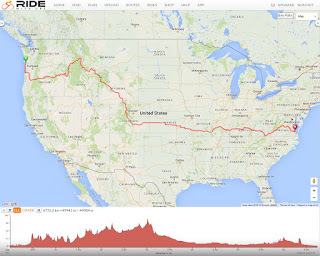 This is titled The Last Ride just to emphasize that I'm stopping any bike race or any long touring rides after this ride, which is going to be a really long one. 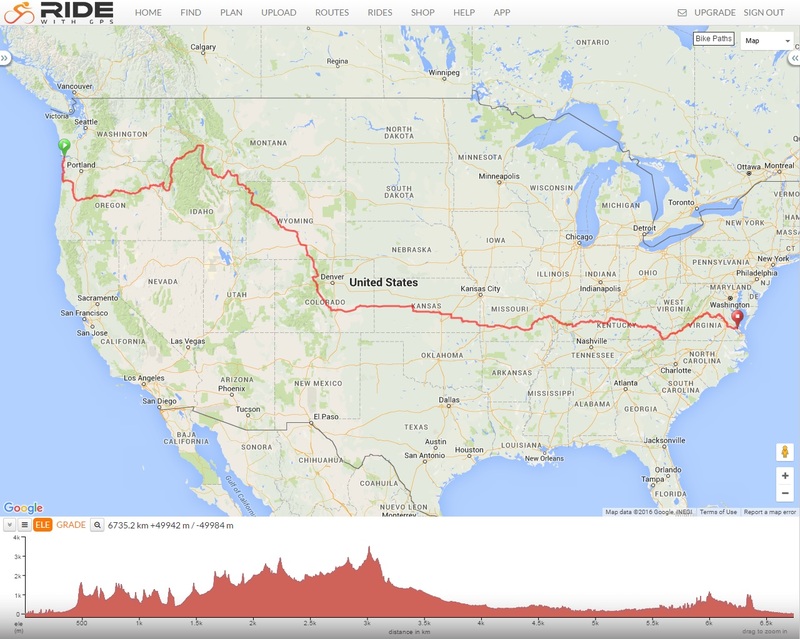 Ever since I started cycling in 2010, I had always done a big ride every year. In 2010, it was Mysore and back. It was big then, with my MTB Trek 4300. Then came brevet which made a distance like 300 km look like a newbie ride. I bought a hybrid bike Merida Crossway 10V in November 2010. I had no plans to own a road bike, but I still rented one for the 400 km brevet just to get a feel of it. Just after the 400 km brevet, decathlon offered BTwin Sport 1 for just 15000 rupees, an offer so tempting that I got it on the first day at the closing hour of the shop. All these while, wife supported me very well and never hesitated whenever I wanted to buy a bike. I raced almost every BBCh race in 2011, 2012 and 2013. And then I also bought an MTB KHS Sixfifty 603 in 2014 though I could hardly race after that due to tough schedules. Meanwhile, I did the 1000 km brevet to Belgaum in 2012, 1240 km one to Kolhapur in 2013. By then, I had promised to wife to end my long distance cycling. Yet, I joined Chidu to draft the 1200 km Bliss In the Hills in 2014. I rode myself as the route was tempting and also tempted to test if the route was indeed practical. I was not really planning to ride any race or long ride in 2015. So, I spent my time volunteering for the BBCh in a way to pay my debt to the platform that gave me so much fun. Then I saw another long line up of Cleated Warriors in the Bliss In the Hills 2015. I jumped in the last minute with the excitement of riding with my 600 km brevet partner and team mate Ganapathy. Even though I heard about RAAM (Race Across America) ever since 2011 when Samim Rizvi rode as the first Indian ever to participate in such a great distance, I was never drawn to it mainly because I don't even participate in events outside Bangalore, leave alone outside state or country. Samim finished the distance in his second attempt though he missed the "Finished" tag by just 40 mins. We were all really sad for him to have got the DNF just because of an extra 40 mins over a 4800 km race. He made another third attempt which failed very badly. Then came another rider Sumit Patil from Maharashtra who attempted but again failed miserably. It was while tracking his progress in BBC (https://groups.google.com/d/msg/bangalore-bikers/5sPJdlJBqcs/reryU2YaC9YJ) that I developed this urge to try RAAM or at least something close to it. While I do respect the distance and required endurance besides passion and determination, I felt that somewhere we are creating an over hype simply because no one has ever done it. Missing the target by a narrow margin is fine, but if one misses the target by a huge margin, quit at the very beginning of the race, etc., that too after travelling all the way to US spending a lot of money, it was not doing justice. This is not the only thread. I was often drawn to debates on other ultra marathon, ultra triathlon, etc. At one point, I was so desperate to try that I even tried calculating the financial damage I would incur if I were to do a RAAM. Then Divya Tate initiated planning for a race from Kanyakumari to Khardung La, K2K Race. I immediately jumped in and clicked "Going" in that event. Meanwhile, a lot of ugly scenes happened among brevet organizers in 2014 end. Divya was leading the official brevet, http://www.audaxindia.org/, which is affiliated to ACP. A lot of ground level organizers didn't agree with the way she took the decisions. At the end of the tussle, most riders from Bangalore were literally boycotting the ACP rides. Though I agreed with most of the decisions taken by Divya, I strongly felt that some of organizers were right about their displeasure of the manner it was done. To morally support the original Bangalore Brevet organizers, I decided not to ride K2K. Later, I also came to know that K2K would be a very costly race for me as it mandates two support cars and more crew members. I wouldn't go for such fancy race at all. K2K race is scheduled for September 2016 and I wish all the riders very best. Meanwhile, I had to find a long race that is worth comparing with RAAM to test my myself. To test myself, I could just go on a lone self support ride all over India. But I also wanted to prove a point and show some of the doubters how a long endurance ride should be done. Honestly, I wouldn't have felt the urge to do one, specially outside country, if Samim or Sumit had finished the RAAM in all attempts. Towards the end of 2014, Anita, my CW team mate and her hubby Sandeep were relocating to US. I got some goodies to pick from them. That was when Sandeep casually mentioned about Trans Am Bike Race (TABR). He mentioned that as a race across US on self support, the kind I like, cheap and simple. I immediately liked the idea and read up more on that later. 2014 was the first season. I followed the rides in 2015. It is a 4400 miles, i.e. 7081 km mostly through country roads. Eastern half is a well signed USBR 76 (the historic bicycle route 76). Perfect for me! When they opened up the registration for 2016, I immediately jumped in. The gpx at the resolution officially provided showed a distance of 6735 km with 50,000m of elevation gain/loss. Past riders have more or less confirmed to be about 7000+ km. I registered in August 2015 for a race that is to take place in June 2016. I'm a person who never backs out from a race once I register. But things on the home front became really tight. I rely on my father in law for taking care of my daughters after school. He had to undergo bypass surgery in October. I kept some hope, but I reduced my chances to 50-50. Meanwhile, he recovered well and was even able to pick kids from school. Finally I applied for leave in office and booked the flight tickets at the end of March. Bike : Kiran was ready to help me with a brand new Polygon bike. But I declined for the same reason that I don't deserve one. I will be riding my good old BTwin Sport 1. I will install an aero bar. Navigation : I will load the tracks on a garmin watch and I will turn it off on straight stretches to save batteries. In circumstances when road is blocked, I will use my phone with offline maps. I split the entire course into splits of 400 km and loaded in Kiran's (Tusker) Garmin 920xt. It is a very light weight, battery efficient (20 hours in GPS, 40 hours in ultratrac mode) with lots of memory. I loaded the entire 7000 km at high resolution, which is about 38,000 track points and it consumed just about 1.3 MB out of the 8.3 MB it had. I had issues loading and navigating on this device. But all sorted out over a couple of days. Light : Magnic light - two in the front and one in the rear. I will be carrying two power banks that run on 4 AA batteries. Each one of them have LED lights and I will additionally carry a USB LED light in case I would have to fix a puncture in the dark. Tracking : I bought a SPOT Gen 3 I will be buying a month service and my logs will go live in http://trackleaders.com/transam16 (2015 tracks are here : http://trackleaders.com/transam15). I can be tracked using the link http://share.findmespot.com/shared/faces/viewspots.jsp?glId=0qqAGBXfxmSHKfEJ6PHdoSWCLeLgXB9AF as long as I keep the tracker device switched on. Batteries : I plan to buy batteries on the way as and when required. I will use a powerbank that works on AA batteries and use it to charge GPS watch and phone. I also ordered a solar power bank and it didn't work well for me. Moreover, it would be unwanted hassle considering that a set of AA batteries will last really long. Speedometer : A cheap one I bought from dx.com. That is all the spares I will carry. I will be riding with a new brake pad from decathlon and a new pair of tires IRC Aspite Pro 26C. I'm going to fit a rear mud guard. Five bottles - one in seat tube, one in down tube, one above top tube and one each at the seat stays. This should hold about 4.25 litres of water, i.e 4 x 900 ml + 650 ml. Handle bar bag, about 2 litres I guess to store mostly food, poncho, jacket, etc. I will additionally carry a tiffin box hung onto the aero bar, again to carry food. A large saddle bag, custom stitched, about 5 litres (30 cm x 15 cm x 12 cm) for spare dresses. One frame (top tube) bag to store credit cars, cash, passports (two - as I have the VISA stamped on an expired passport). I will be sending off my travel clothes and bike bag (from Kiran) by US Post ground to the other end of the race. An extra set of shorts and jersey. I plan to wash in wash basins on the way and dry it on the ride itself. I will wear a slipper and hence no need for socks. One pair socks in case I face snow. A small cotton towel, handkerchief size. A set of clothes - underwear, shorts and t shirt in case I need to check into a hotel on the way. Food : This is an area unknown to me as I will be riding in a new land. Water will be mostly from public drinking fountains or sinks in gas stations. I don't buy bottle water usually as long as I get regular water. Calories will be mostly from nutrition bars from convenience stores and fast food on the way (subway, grilled chicken, bread, rice, etc.). No idea beyond this. I will learn on the way. But I will always carry extra food just so that I don't have to worry about the distance to the next available food joint. I will be carrying some salt capsules. Sleep : I plan to sleep under tree shades, road side, public park benches, churches or whatever available during the warm day, for four hours between 10:30 AM and 4:00 PM. This way, I don't have to setup tent and carry sleeping bags. This is the time that is least efficient in riding. I will eat as heavy as possible before sleep. It is better to ride in the night. I might check into a hotel if situations demand. I have decided to ride from East to West for a few reasons. East side is flatter and I want to make use of this to tone up my muscles before the climbs start. Riding towards west also means that I don't have to face the morning sun in the face. Facing sun in the eye after a sleepless night is not good. Peak summer is June 21 and that is the right time to do the mountains in the west. I don't have any plans to train for this ride. All the training can only help in the first couple of days. Beyond that, it is all about planning and determination. Having said that, I will be doing at least 30 hours of running and probably a few climbs to smaller hills around. Major challenge will not be the legs, but other body parts such as palm, shoulders and back. I plan to keep the handlebar high as I plan to ride at slow pace. Aerobars will come handy when I want to relax. I will be doing some yoga asanas to strengthen and stretch my core muscles. Two months of yoga should be good enough. [Update: 24-May-2016] As on 24th May, I had done about 20 hours of running and one ride to Basavannabeta and one Kalhatty / Doddabeta climb. I was on an experimental diet (high fat, low carb) during April and by luck or by bad diet, I fell ill on 30th April with full body ache, headache, fever, no appetite and stomach pain. So, not training in first week of May. In consultation with Putta Narasimha (another CW team-mate) I took more hydration electrolytes to bring up blood pressure and alleviate headache. It helped. I went to Kalhatty climb on the first weekend before recovering and fell ill again the following days. Blood tests showed low platelet (1.44) which is just below normal. I took rest, hydrated well and took papaya leaf extract capsules. No other pharma drugs. Next day, my platelet count went up to 1.98. The same day my blood test for dengue came negative. I still took a while to gain appetite. I started running slowly in the third week. I caught a bit of mild cold in the 4th week and thus no running as I don't want to be travelling (on 28th May morning) with cold. I will be doing some short rides with Sandeep in Belmont and around. He and Anita are going to drive 750 miles from Belmont CA to Astoria and flag me off. So kind of them. Yeah, I landed up in Astoria, instead of Yorktown, because my office bosses (specially Ananth Satyanarayana and Sharad Medhavi) pursued for an official trip to HQ so that I can benefit a few days of acclimatization there. Besides, I will save the air fare if I travel on an official trip. And no yoga. No time! This is bad. But I'm raring to go. I also don't plan to ride this as a race, but rather as touring. That means keeping the heart rate at zone 2 and focus on breathing for the maximum conservation of energy. Plan is to be on the saddle for 18 hours a day and average 20 kmph on the saddle. I can attempt to do about 19 hours towards the last quarter of the race. Why a slower speed and spend longer time on saddle? Why not a faster pace and then rest longer? It depends on the individuals ability to recover and regenerate energy. If we spend faster than we can recover, it is just a matter of time before the performance drops. Another fact is that the faster we go, more energy is required for the same distance covered. For instance, walking 10 km in 2 hours will require much lesser energy than running 10 km in 30 minutes. In cycling, wind resistance plays even more bigger role in making the difference bigger. Bicycle is a very efficient machine, the most efficient way of transport compared to even walking or any other form of transport. If one knows the limit of energy one can spend in a day without hurting the next days quota, then it is best to spend all that energy in the slowest pace possible while we keep minimum time for all other tasks such as sleep, eat, hygiene, etc. That is exactly what I plan to do. If I ever face any untoward incident that could cause delays, I would have five extra days above my target before my return flight. So, I have a total of 25 days to finish the ride though I would target between 18 to 20 days, i.e. about 400 km a day on average. Finishing is important under any circumstance as I wouldn't want to spend another attempt. I think, this ride will be on top of my most foolish things in life. One may call it passion. For that, I could just ride Kanyakumari to Khardung La and back on self support. Why go all the way to US? It is not as if I'm going to be a world famous hero if I finish or win this race. So, it is not making any sense at all for me. Besides, there is still a theoretical possibility of unforeseen failures. But then, if I do this, I will get some right to talk about endurance rides and how it should be done. My finish will also convey a message that riders like Samim or Sumit wouldn't be able to convey even if they had finished. If they had finished, people would have still said that RAAM is for super heroes, because Samim and Sumit are very strong and serious riders, who train on almost professional level. But if I finish, it will be more special because I neither train nor am a strong rider. BBCh ITT data are a proof. I'm no where close to most of the semi-professional riders. So, if I finish in a respectable time, it will give a lot of hope to many others. This is a bigger reason why I'm doing this. This is not a good reason and that is why I feel all the more stupid. Nevertheless, it will be a ride of a lifetime! I'm very excited about it.